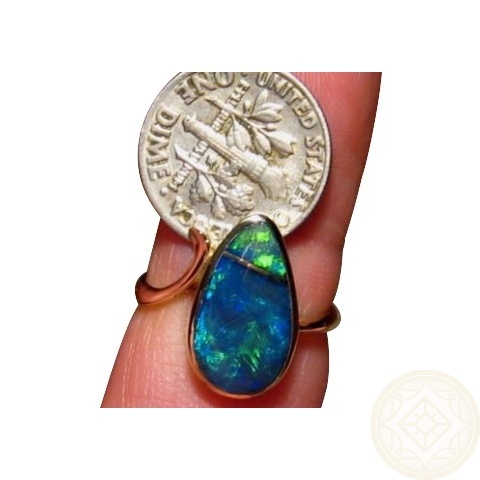 Ladies Opal ring in 14k Gold with two inlaid Opals showing very bright Blue and Green in a pear shape. 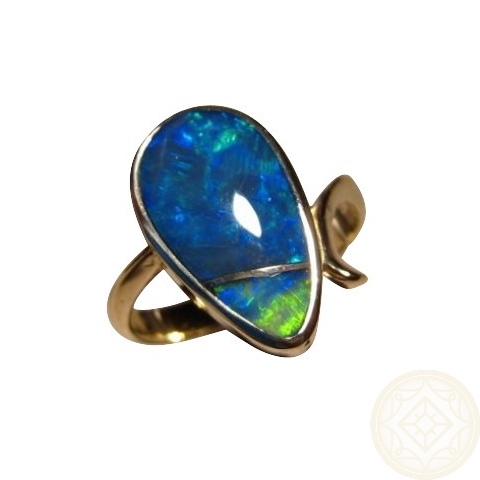 A contemporary Opal ring for women in 14k Gold. 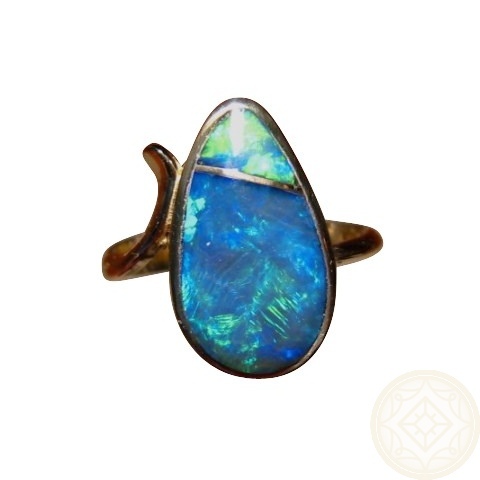 The ring is inlaid with two Lightning Ridge Black Crystal Opals that flash very bright Green and Blue with the two Opals forming a pear shape. 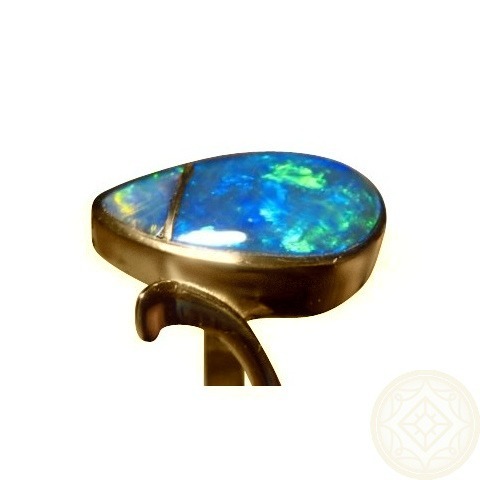 With a combined Opal weight of about 4.5 carats and measuring almost 17 mm from top to bottom, this Opal ring will be seen and admired when worn. 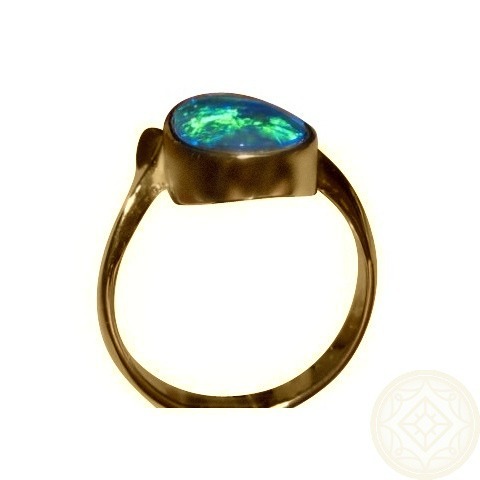 The ring is Made to Order which will take about one week to make before images are provided for your approval to ship. 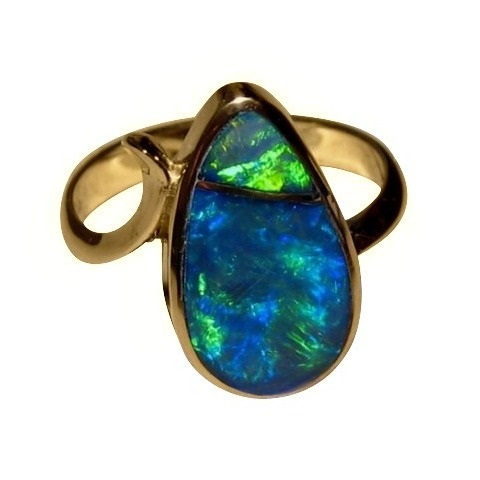 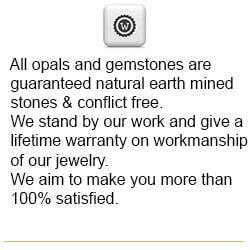 The ring will be made as close as possible to the photos however the size of each Opal may vary and the placement of the gold bar dividing them may be positioned differently. 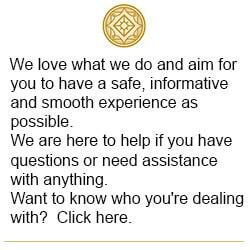 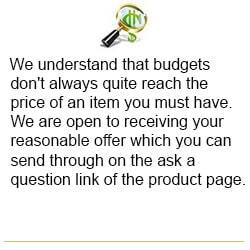 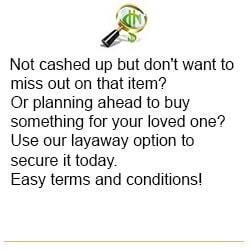 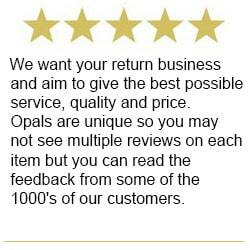 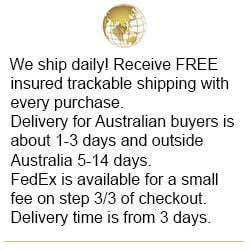 If you have any specific requirements, contact through this product before ordering.